Oklahoma faces a major teacher shortage, especially in mathematics, and one of the driving reasons is the state’s abysmally low salaries for educators. As a NewsOK.com story pointed out recently, this shortage undoubtedly leads to students performing lower on math tests, which, in turn, means many incoming college students—a whopping 34.8 percent—have to take remedial math before earning credit in the subject area. Many in Oklahoma’s right-wing power structure, however, want to blame the students themselves or their parents or “teachers who won’t teach” when, in fact, they are culpable and should feel ashamed at what has happened here. How can a student learn when they don’t have a teacher who has the knowledge and specialized training to pass on? Oklahoma, according to information presented in 2014, is 49th in the nation in the level of teacher salaries and obviously the lowest of all our neighboring states. Why teach here when in a couple of years or so, a new teacher could be making $20,000 or so more in neighboring Texas than in Oklahoma? University of Oklahoma President David Boren and a coalition he has helped form is trying to do something about this major dilemma in the state. Today, the coalition, Oklahoma’s Children, Our Future, is planning to file an initiative petition with state government that would put a measure on the 2016 general election ballot to raise the sales tax here by one penny, which would be dedicated to educational funding. All the money would go to common and higher education, and it would include $5,000 annual raises for teachers. Overall, it would raise $615 million annually for education, with $125 million going to higher education. After filing the petition today, supporters of the measure will have 90 days to collect around 125,000 signatures to allow Oklahomans to vote on this important proposal. Oklahoma desperately needs this infusion of money for education, and people shouldn’t hesitate to sign the petition and vote for the measure. Critics of the proposal say sales taxes are regressive and will burden the poor the most, but they can’t present any other credible alternative plan. After all, it’s only a penny, and it will benefit children from lower-income families the most. In addition, after the proposal is passed, these same critics could argue for sales tax rebates and credits for lower-income people here on their overall income tax. 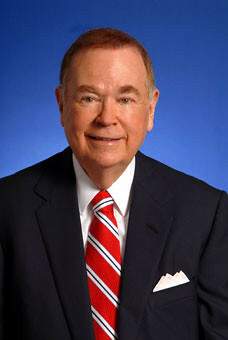 Others worry the right-wing government here will simply cut overall funding to education in light of the new funding, but Boren has said the measure ensures baseline funding will remain intact. Other critics of the proposal will use the old discredited arguments about how “money doesn’t solve everything” when it comes to education and how teachers should be paid solely on a merit basis, which, in fact, they ARE paid based on their education and ability. But Oklahoma has dug itself such a huge education-funding hole—it has cut education the most percentage-wise of any state since 2008—that these arguments have become right-wing static in the background of a true emergency. Boren and his coalition are actually trying to do something about Oklahoma’s teacher shortage, which affects the quality of life here in many ways. A sales tax increase might not be the best of the best tax policy, but it’s the only credible option for taking care of a growing crisis.